Where does Carlos Tevez, from the insane to the incredible, rank amongst his generation's best strikers? Where does Carlos Tevez, from the insane to the incredible, rank amongst his generation’s best strikers? There is nothing glamorous about him. His body, hunched and taut, is soaked in a different kind of perspiration, a dirty, greasy sweat, not the type Cristiano Ronaldo is wetted by, and uses like a de facto hair gel. This man’s hair falls in lank, ebony strands over his face and down his neck, stroking the knotted, rippled scarf of scars that he wears. He scurries like a frenzied animal, like a pit bull chasing a rabbit; you can almost hear him panting through the television cameras. He plays with the furious intensity of a desperate man, in love with the fight, revelling in the trauma of the athlete. He runs and runs until his lungs scream in pain. Their howls are met and embraced by the writhing squalls of the crowd, who love him. For now, they thank God that El Apache is their’s. And yet, he’s a nomad. Throughout his career, Carlos Tevez has appeared for seven different clubs. He’s never really felt like a comfortable fixture at any of them but Boca, more like a disparate ruffian genius who through pure talent alone has been dragged into the light and onto the pitch. His trail is signposted with the caustic remains of soured relationships, with half-buried triumphs to which it feels he was, at once, both central and marginal. 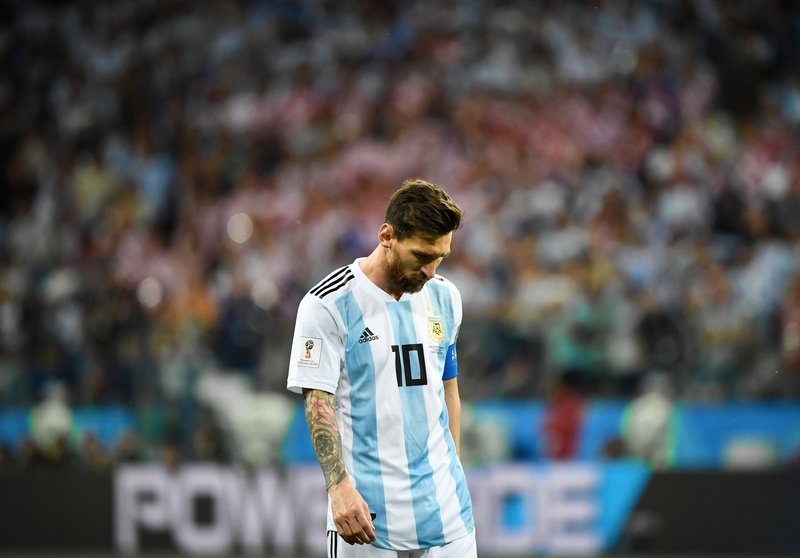 Though perhaps most tellingly, he is – as a player – mourned by a cavalcade of fans whose admiration seems to transcend traditional cross-club boundaries and normal grudges. This is a player who, after one season’s work, now gets an obligatory ovation at Upton Park; a player who many Manchester United supporters consider one-third of their club’s finest attacking triumvirate of the last decade. Even at Manchester City, the Tevez years are remembered with a sort of rose-tinted fondness, a veil through which the destruction gets filtered out, and, like remembering an old relationship, only the affectionate memories remain. In 2015 Juventus made a cheery return to the Champions League final. The Turin club ended a 12-year absence from the ultimate stage of Europe’s biggest tournament, and with them, Tevez walked assuredly and contentedly. Finally he seemed at ease and was playing well. The Old Lady soothed the Argentine’s pugnacious existence with a gentle caress; she whispered “tranquilla, mio figlio”. But it wouldn’t – it couldn’t – last. Tevez’s life began with a moment of great anguish. The scars that wreathe his neck and chest were formed by a spilt kettle of boiling water that he pulled down over himself as a child. He was hospitalised for two months. Such a harrowing event marks a person, inside and out, and gives them a permanent badge that invites pity, a badge that Tevez has spent the rest of his life trying to wrestle off. He made his debut for Boca Juniors alongside Juan Román Riquelme, an Argentine icon and a player of impossibly languid creativity. 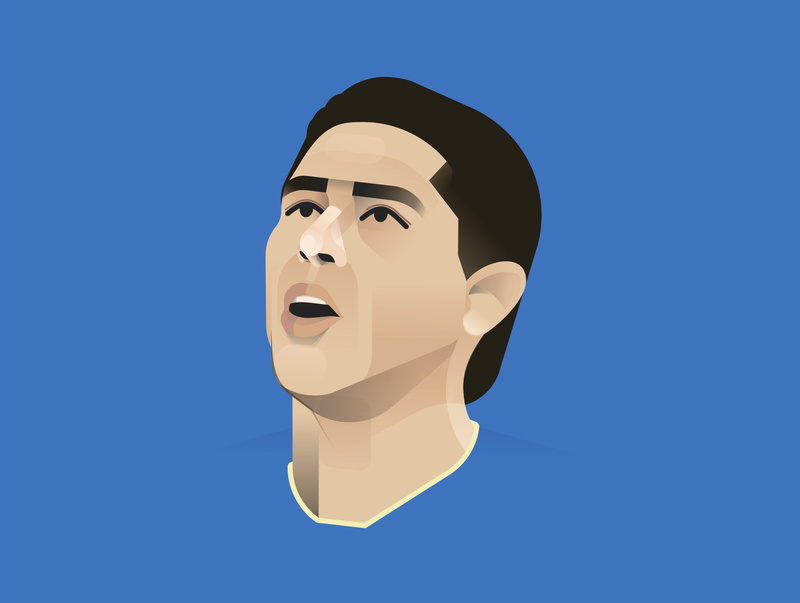 Riquelme built his legend on seeing – and often playing – the game in slow motion, punctuating his treacly movement with a flick here, a nutmeg there, and hush now, as I waft the ball into the top corner from 40 yards away. 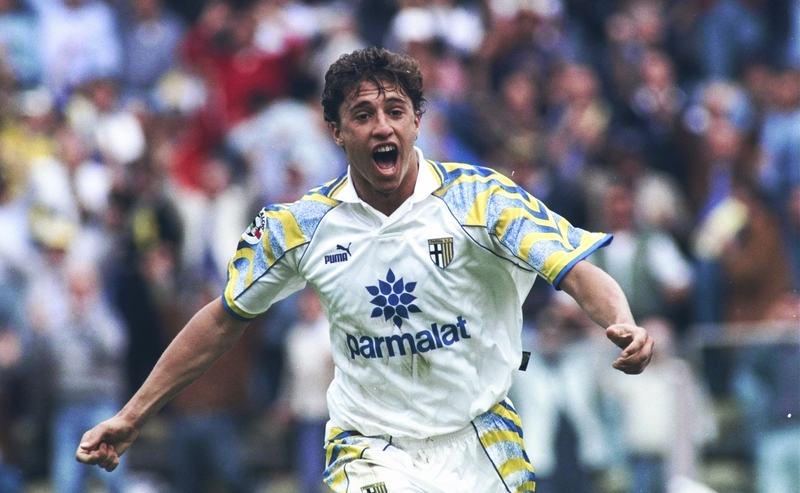 Riquelme was an upright duke, reclining back slightly, gliding between defenders almost apologetically, a contrite ghost floating through the corridors and occasionally through the walls of his castle. He was, obviously, a stark contrast to Tevez’s incessant, open-mouthed scrambling. Tevez’s first season at Boca was Riquelme’s last before he went to Europe. They crossed paths only briefly, two attacking forces outside of one another’s paradigms. Tevez spent almost four seasons at Boca and left as one of Argentina’s most luminous talents. As it turned out, that $20m fee bought Corinthians – at just over $500,000 a match – 38 matches with Tevez on the pitch. He won the league title with them and was voted the best player in the Campeonato Brasileiro. But there was something wrong, and Tevez’s relationship with the Corinthians hierarchy had been worn down irreparably by what Tevez spoke of as “broken promises”. They wouldn’t, and Tevez would leave Corinthians only a season after he had arrived. It’s at this point that Tevez’s story takes a wild, exciting turn, one that would lead him across England, leaving behind him a scorching trail of rancour. In 2005, the Premier League had rules which called into question the transfer of Tevez and his countryman Javier Mascherano to West Ham United. At the time, it was Rule U18, which prohibited any Premier League club from entering into a contract with a third party that gave it “the ability materially to influence its policies or the performance of its teams”. The issue was this: written into Tevez’s contract with West Ham was a clause that gave Media Sports Investment – the third-party company that held Tevez’s economic reigns – the legal ability to orchestrate a transfer, during any transfer window, that could move Tevez to another club without West Ham having any legal right to object. Herein lay the conflict and, compounding the illegality of the situation, West Ham wilfully withheld this information from the league. One of the architects of the deal, stepping out into the glare for the first time, was businessman Kia Joorabchian. Joorabchian had stepped down as president of MSI a year before Tevez’s transfer to West Ham, but had overseen a lucrative and highly suspect professional partnership between Corinthians and his company that had begun a year before Tevez’s arrival in Brazil. Swirling talk of a takeover offer from MSI for West Ham ensconced the Tevez’s transfer, as well as a highly problematic police investigation into accusations levelled against MSI over money laundering back in Brazil. A cavalcade of shadowy entities entered and exited the scene, like a macabre Benny Hill sketch; player agent Pini Zahavi, sports companies Mystere Services and Global Soccer Agencies, Russian oligarchs Roman Abramovich and Boris Berezovsky. Caught in this maelstrom were Tevez and Mascherano, two players hoping to take a seat at the sport’s highest table. Meanwhile, Tevez had joined a club in freefall. West Ham drew their first match after Tevez’s arrival and subsequently lost the next five. They would win twelve league games all season and Tevez wouldn’t score a league goal until six months after he had arrived. Despite this downward spiral, and the acrimonious way in which he had entered the league, Tevez had joined a club that was ecstatic to have him, and the fans made sure he felt their love every time he took to the field at Upton Park. The roars that greeted him on his debut reached out and embraced him, and they haven’t yet let go. Seven goals, three assists, 29 appearances: on paper there isn’t much to justify the enduring bond that Tevez forged with the Hammers’ faithful. But those goals, all scored in the final 10 games of that treacherous 2006/07 season, saved West Ham from relegation. It’s worth emphasising just how much this endeared Tevez to the supporters. Four years earlier, West Ham had been relegated from the Premier League, ending a 10-year run in the top flight. So began the yo-yo years, a period of harrowing lows and unexpected highs. From being relegated with the highest ever points total in 2003 to earning a place in the 2006 FA Cup final – only to lose on penalties – neck brace sales skyrocketed in east London, such was the violent fluctuation of fortune. So, when Tevez arrived, the supporters had a genuine blue-chip star to pin their hopes to. After finishing ninth the previous season, a sudden downturn (if recent tendencies were anything to go by) was in store. And, true to form, West Ham was ensconced wholly in the whirlpool at the bottom of the table that season, with manager Alan Pardew sacked in December. But, beginning in March, Tevez began his one-man escape act for the ages. He scored in six of West Ham’s final 10 matches, and key wins over Arsenal, Everton and Manchester United meant that, on the final day of the season, West Ham lunged out of the bottom three. A lot of people at other, less fortunate clubs, weren’t happy, principally Sheffield United manager Neil Warnock, but the Hammers fans were delirious. Tevez made himself a hero that season, a symbol of defiance in the face of a catastrophe that seemed inevitable. 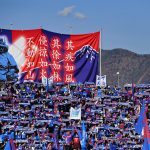 Every lost cause he harried after, every frantic chase back into his own half, every precious goal, stoked a warming bonfire in the fearful pit of every supporter as the black maw of the drop approached. He heaved himself into the crowd after scoring his first West Ham goal against Tottenham. He crossed his arms over his head, recreating the West Ham crest, when he returned to Upton Park with Manchester United the next season, and has done it since. This is why he’s still loved in East London. West Ham remained in the top flight for the next four seasons. Of course, relegation battles were unsuited to a player of Tevez’s calibre. He bid adieu to West Ham, and they to him, with wet eyes and bursting hearts, and off he went to succulent pastures new. Well, it wasn’t quite as smooth as all of that; there was a protracted, awkward process, where the club resisted Tevez’s move to Manchester United, until a short legal battle forced their hand. Eventually, Tevez was at a leading European club. Barney Chilton, editor of leading Manchester United fanzine Red News, remembers Carlos Tevez, and at once encapsulates the dissonant manner in which Tevez has waltzed through clubs in England. His quality, Chilton also adds, was undoubted: “I think that strike force which led us to European glory in Moscow was as good as United have had, at the right ages, just around their peaks. Ronaldo, Rooney and Tevez were so strong, and good on the counter-attack, whatever happened. It was a fantastic season and my own highlight of Tevez was him scoring that belter against Man City. In typical fashion, though, it was sort of clouded by his cupping of ear towards Fergie which I found unnecessary – his football was doing the talking. Tevez became an instant fixture for United in the 2007/08 season, starting as many matches as Wayne Rooney and Michael Carrick. He scored 19 goals in all competitions, including his penalty in that sodden Champions League triumph in Moscow. It was Manchester United’s last truly great season­­ and Tevez was a crucial piston, firing United to their glorious double. He stayed with United for only one more season. “He should have stayed,” says Chilton. “We should have gambled but I think clearly there was something going on behind the scenes. He’s apparently quite difficult to manage around the club, wasn’t that bothered about learning English, treated club houses with difficulty, but it’s a shame nonetheless. There it is again, that odd bittersweet cocktail. After that super first season in Manchester, Tevez expected the club to sign him up on a permanent deal immediately. The fans chanted for it, Sir Alex Ferguson dropped plenty of hints, and yet the contract remained unoffered. By the time United took the plunge, the relationship had broken down sufficiently enough for Tevez to refuse the offer. He joined Manchester City, a new up-and-coming threat to United’s citywide hegemony. A certain inflammatory billboard was erected. The betrayal was complete, and Tevez was the traitor. What might have been? What could still be? Patrice Evra, who played for United for eight years, claims Tevez still has “United blood”. It was at the Etihad that Tevez’s intoxicating qualities came bristling into the very centre of the footballing limelight. 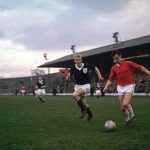 On the pitch he terrorised his opponents, playing in his maiden City term with that same freedom and energy, and scoring more than 25 goals in a season for just the second time in his career. He averaged more than a goal every other game for the Citizens over his first two seasons and captained the team that won the FA Cup in 2011. The pitch was still a haven for Tevez. Off it, however, a swirling tempest grew, one that would peak during that infamous Munich incident in 2011. The initial darkening of the clouds began the season before, in December 2010, when Tevez handed in a transfer request, citing a breakdown in the relationship with certain executives as his reason for doing so. Just as the club labelled this request “ludicrous” anyone looking on will have seen this as yet another bizarre ordeal. Relationships with club executives are not normally something that professional footballers base huge, career-altering decision on, and yet there was El Apache, being rubbed the wrong way, and again looking frantically for the door. It should be clear to all involved by now that Tevez is a creature of emotion. He was, at this time, sorely missing his family who were living at home in Argentina. He had two daughters and wife who had been unable to settle in Manchester, and it was sullying every moment Tevez spent in England. He was still only 25 at that time. And as such, his young, elastic convictions were able to be reshaped, softened, and his fellow Argentine Pablo Zabaleta, as well as manager Roberto Mancini, convinced him to stay. Things wouldn’t remain so congenial between Mancini and Tevez. In September 2011, Manchester City played an away-leg group match against Bayern Munich, and Tevez was named among the substitutes. Mancini ordered Tevez to warm up, in preparation to enter the game early in the second half. Tevez – though he has denied this – apparently refused, in full view of the entire Allianz Arena, the rest of the Manchester City subs and staff, not to mention the millions watching at home. After the match, Mancini declared that Tevez was “finished” at the club and that he would “never play again” for him. Tevez, in his own post-match press conference, addressed the issue via a translator. Strangely, he spoke only vaguely of the incident, saying he agreed with Mancini’s assertions about the state of his future at City and brought up his 2010 transfer request, which, by this time, hadn’t been spoken of for nine months. At that moment, utterly marginalised, angry and homesick, Tevez arrived at his nadir in England. A harrowing hiatus of nearly six months would follow, officially named “gardening leave”; it was actually a barren stretch that almost pushed Tevez into retirement. Kevin Parker, general secretary of the Manchester City Supporters Club, recalls the Bayern incident, and Tevez more generally: “It is true that the Bayern incident between Tevez and Mancini left a nasty taste at the time and certainly divided opinions. 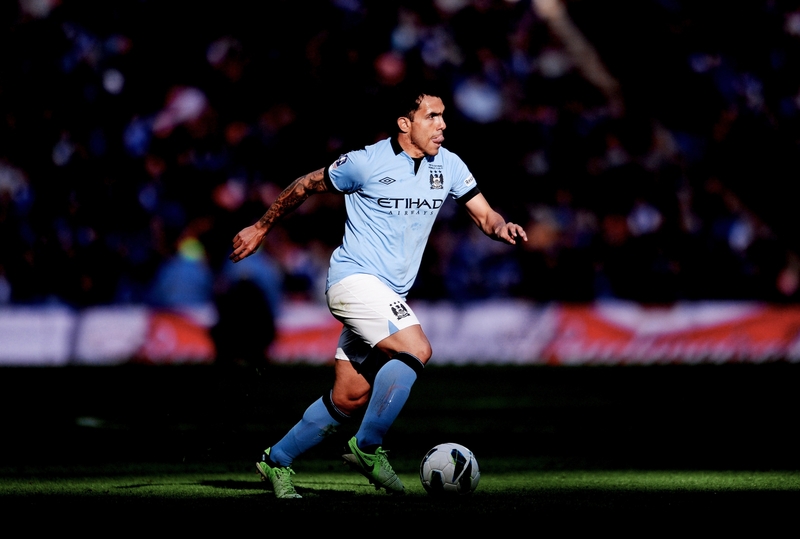 However, I think when we look back we should look at Tevez as being one of City’s greats. “He was part of the team that won the FA Cup in 2011, our first trophy in 35 years and then contributed to the final run in of winning games when we won the league in 2012. His effort and commitment on the field could never, ever be questioned. Funnily enough, the toxic reputation that Tevez had earned was partially the reason why his career in England resumed. Manchester City, adamant to secure a sizeable fee for Tevez, had been unable to find a suitor for their troubled Argentine and so Tevez was begrudgingly welcomed back into the first team fold. He scored four goals in City’s final 10 games of the season, and was on the pitch in those final sublime moments when Sergio Agüero clinched the title against Queens Park Rangers. It capped off, in wondrous style, a remarkable reversal in fortune. He spent one more season in Manchester, leaving for Juventus in June 2013. Was England glad to be rid of Tevez? In a way, on the surface, it was. But in other ways, down in the deep ditch of our sporting desires, Tevez is exactly what we want in our sporting talismans: tempestuous, emotional, volatile, always running, always unsettled. None of this fits in with the more considered aspects of human interaction, and certainly these attributes aren’t conducive to team dynamics. 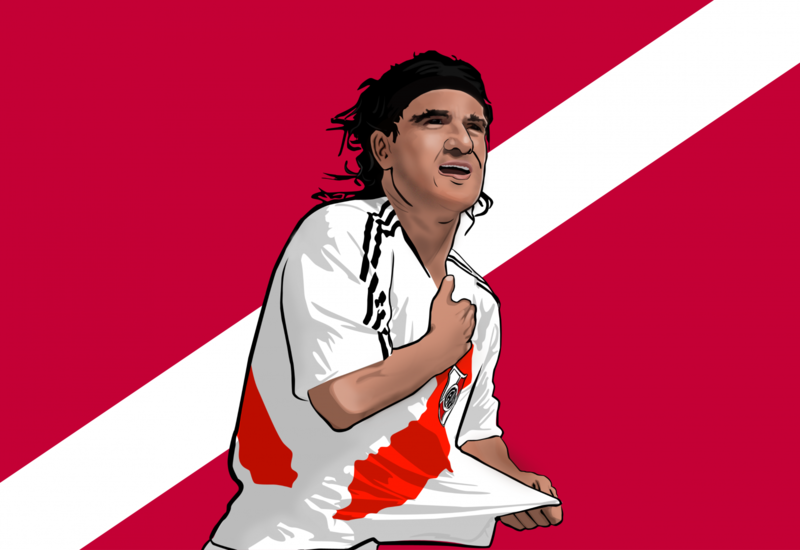 But the odd fondness with which Tevez is generally remembered, warts and all, is telling. Juventus is a club steeped in a sort of cobwebbed-laced majesty. There is still an undoubted allure to the great Turin club despite Calciopoli and the general decline of Italian football in Europe. So how would this club, defined as it was by the thoroughbred, wizened aristocratic dignity of Gigi Buffon and, over seasons before the Argentine arrived, Andrea Pirlo, adjust to having El Apache in their ranks? Baggio, Platini, Del Piero … the list of former Juventus number 10s is one that would align with many lists of calcio’s greatest ever players. And Tevez embraced his place at the front of this stellar queue, scoring 50 goals in 95 appearances for Juve, his best goal return ratio since moving away from South America. His presence saw Juve achieve unprecedented levels of domestic dominance, as well as 2015’s astonishing European run. But, more importantly, there was a welcome absence of sensational headlines, of vicious spats, or anything ashen-faced and teeth-clenched. Bar the occasional post-substitution curse-fest, the last two seasons in Europe for Tevez were relatively trouble-free, a record-setting stretch for the Argentine. From the heir to Maradona to the malefactor of Manchester, to spearheading Juve’s return to the top and back to Boca Juniors again, when you look at Tevez’s career as a whole, a steeply inverted parabolic journey emerges. It seems also to have flown by, a frenzied rush of triumph and controversy, as if Tevez himself has swept us all up with one of his mad dashes. Indeed, he gave us one more moment of madness – perhaps not literally – by moving for the astronomical sum of £91m to Shanghai Shenhua in December 2016. Typically, it didn’t work out, and nor has his return to La Bombonera for a third spell.